Let all of your relationships be healthy relationships! Do you struggle with your marriage- believing that your relationship can be so much more fulfilling than it currently is? Do you wish that your partner would be able to deeply HEAR and listen to your hopes and dreams and needs? Who would have thought that being listened to and cared for would be worth more to you than all of the gifts in the world? How do you go from where you are now – a marriage that is flat-lined and dull – to a marriage that is healthy and vibrant? You are here because you want to achieve a deep connection again. You’re committed to your relationship, you wish you could restore the love you once had, and you’ll do anything possible to get you there. We help couples achieve that deep connection again. Rabbi Shlomo Slatkin is a Licensed Clinical Professional Counselor and a Certified Imago Relationship Therapist. You might be wondering how a couple like you could have once been madly in love and are now experiencing problems even over the smallest of things!?? 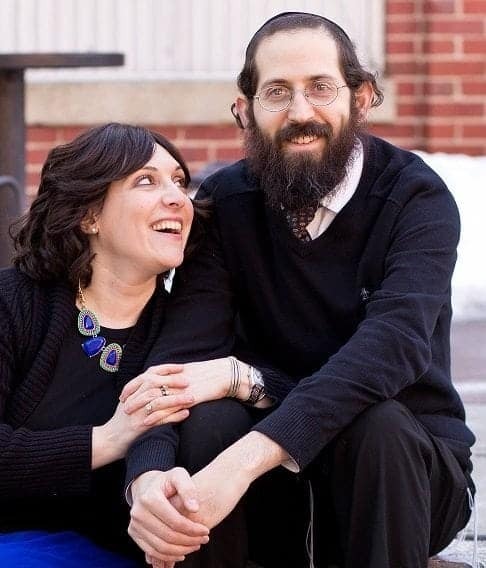 Rabbi Shlomo and his wife Rivka, were once that couple over 15 years ago, and due to the power and efficacy of Imago therapy, they realized how to get that love back and learn how to reconnect deeply so that they wouldn’t keep fighting over the smallest of things. Being so inspired from their own work with Imago Therapy, they went on to become trainers in Imago and marriage counseling professionals. If you’ve never worked with an Imago therapist, or are concerned about finding the right therapist that would be a good match for both you and your spouse, know that you are in the right place. The structure that Imago therapy provides ensures that both the husband and wife always feel a sense of safety- regardless of the issues that are being raised. 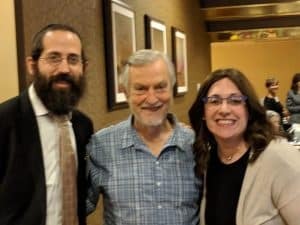 Couples are often amazed with their renewed feelings of hope and connection that they feel even after one session of working with Rabbi Slatkin. 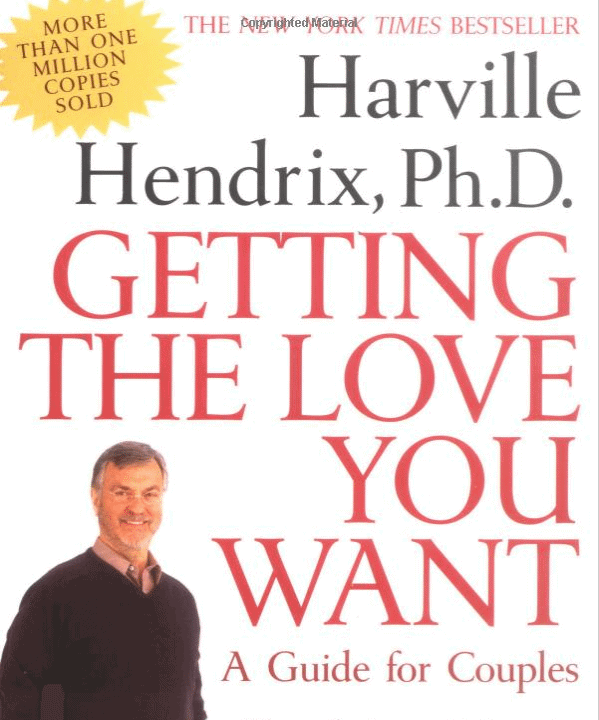 A gifted teacher who has lectured throughout the world, Shlomo Slatkin edited and co-authored the Jewish version of Couplehood as a Spiritual Path , a curriculum for synagogues based on Imago Relationship Therapy and Dr. Harville Hendrix’s Getting the Love You Want. He is also the author of The Five Step Action Plan to a Happy & Healthy Marriage, as well as numerous published articles on relationships. A graduate of Loyola College in Maryland, Shlomo Slatkin holds a Masters degree in Counseling Psychology, with additional psychotherapy training at the Imago Relationship Institute. He received his undergraduate training at the George Washington University and Oxford University and holds a B.A in Middle Eastern Studies. In addition, he studied in prestigious Rabbinical seminaries in Israel and the United States, culminating in ordination. Shlomo Slatkin is a clinical member of the American Mental Health Counselors Association, Imago Relationships International, and the Mid-Atlantic Association of Imago Therapists. Is your marriage even fixable at this point? We believe that you picked your partner for a reason and that conflict is growth trying to happen. You married the RIGHT person not the WRONG person, and we have shown 100s of couples just like you- for over a decade now- how this is factually true! We help people that are committed to doing whatever it takes to fixing their most important relationship – their marriage- through our comprehensive solutions that fix marriage problems. And if you’re an adult child of divorce, like Rivka is, it’s especially for children like you that our website was created for! Children that have seen first-hand the effects that divorce can have. Adult children that may need to work extra hard to find and follow the best relationship advice out there, in order to enjoy a successful marriage and to ensure that your love story lasts forever, since you did not grow up in a home where a good marriage was modeled for you. Here’s what we do: We offer comprehensive solutions that fix marriage problems. Every program that we offer, whether it be our 2 Day Marriage Restoration Retreat, or our group Getting the Love You Want workshop, or online Marriage School was carefully crafted over several years based on our analysis of what gives couples the ultimate solution that they desire a changed marriage for life. Everything that we offer works, it just takes commitment to follow our recommendations. We’re especially partial to the challenges of CEOs, Entrepreneurs, Business Owners and Start-Up Founders as their money and time is often unpredictable creating added strain on their marriages. We specialize in helping business owners with their marriages. Here’s how we got started: The Marriage Restoration Project was born from the desire to help keep couples together and happy and to minimize the devastating effects that divorce can have on families and children.